This summer is going to be a long one for us. We have all the kids going back to school on the same schedule this year instead of staggered like most years (everyone will now be on the same school schedule though so that is a lot better). This means that we have more time off than usual. So we decided we wanted to try and do as many fun things together as we can. We decided to create a summer bucket list. We found a great printable for free at Savvy Southern Belle. We loved all of the ideas on her list so much we decided to try them all out. Now you can probably make one of your own, but since that required me to be productive this summer I gave in and went with the free printable. You can head over to Savvy Southern Belle and print hers as well. We have already begun checking items off of our list. Last night we enjoyed a night time swim and we made s’mores in the fire-pit together as a family. These memories might seem simple now, but in a few years those memories will be the brightest. 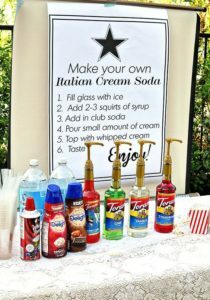 I really loved that most of these items were inexpensive, fun, and simple to do. Family fun time doesn’t have to be expensive, or complicated. It can be as simple as sitting outside under the stars together looking for constellations, counting the stars, or searching for shooting stars. As long as we are together, laughing, talking, and sharing we are guaranteed a good time. 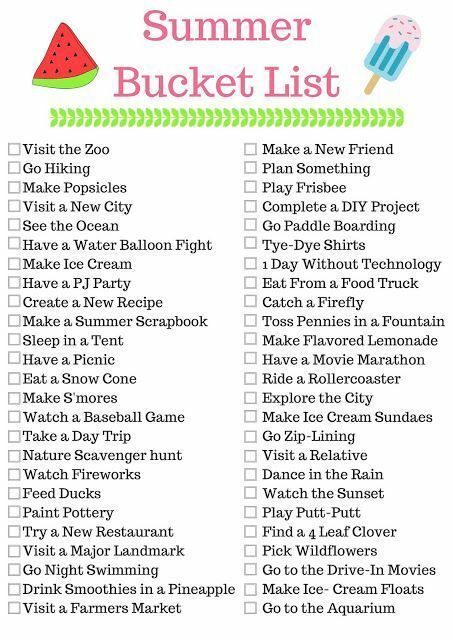 What else would you add to your summer bucket list? 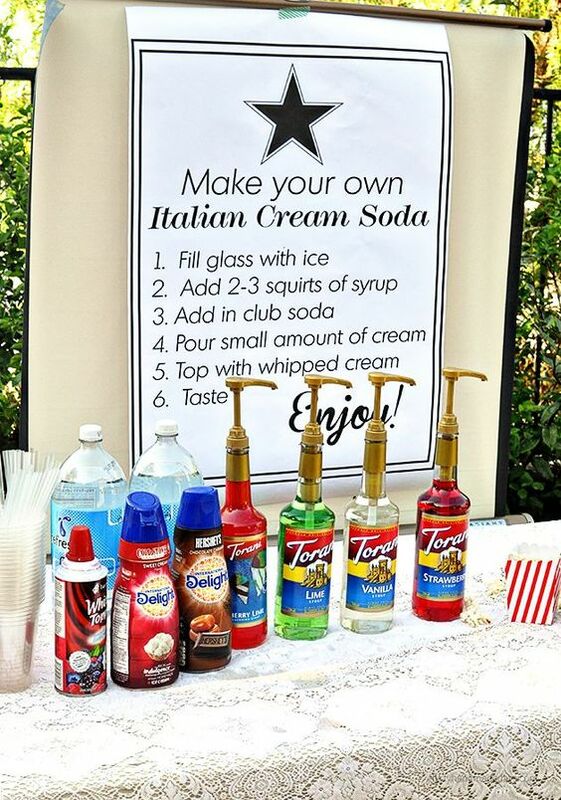 Thank you to Savvy Southern Belle for the incredible ideas! 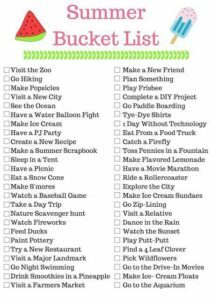 This entry was posted in Activities and tagged Activities, boys summer, savvy southern belle, summer activities, summer bucket list, summer fun, summer time, th eboys store on June 19, 2018 by Lacy. It happened already!! I heard the dreaded words that all parents fear during school breaks — I’m bored!! I almost broke, I’m not kidding you. I had to take a few minutes to control myself, then I got out my idea list that I so thoughtfully made before summer. Then I sent them outside to test this one out. I sent them outside with a bucket full of water, some large sponges, and sidewalk chalk. I helped them to draw some targets, and a few shapes to stand in while they throw. I told them that whoever scored the most points would get to choose dessert tonight. They have been playing for nearly 30 minutes — and the only scream I have heard have been screams of joy and laughter. I am very excited that this one worked out, and that it got them outside having some crazy fun for a little while. They did tire of it after about 40 minutes, but then they were still so amped up about being outside that they went and played on their swingset for another hour. Which gave me some nice quiet time without the screaming and squabbling. So this one is definitely a keeper! What activities have you tried this summer? Thank you to Pinterest for this fun idea! 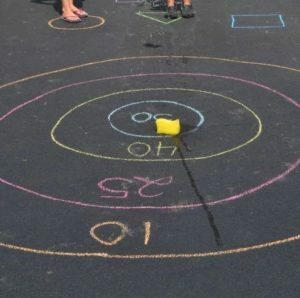 This entry was posted in Activities and tagged boredom buster, games, outdoor activities, outdoor fun, outdoor games, pinterest, summer activities, summer fun, the boys store, water activities on June 7, 2018 by Lacy.